The model to regenerate land and ecosystems is quite a simple pattern on the environmental level but when the human complexities of the triple bottom line come in, the scenario unfurls with a greater intricacy. In other words the social and economic systems that reinforce things like swales and compost tea are the great frontier of permaculture in this moment. Regardless I will take a holistic and systematic look at development below using several graphics and text. An understanding of the big picture allows us to later delve into details which is why I commissioned the following graphic below that explains “Why Permaculture“. 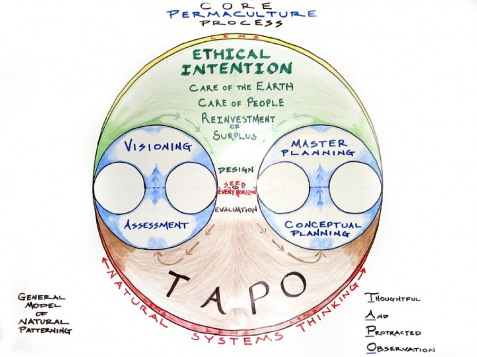 The graphic above illustrates the integrated approach of permaculture and the need to examine the overlapping factors of the triple bottom line. 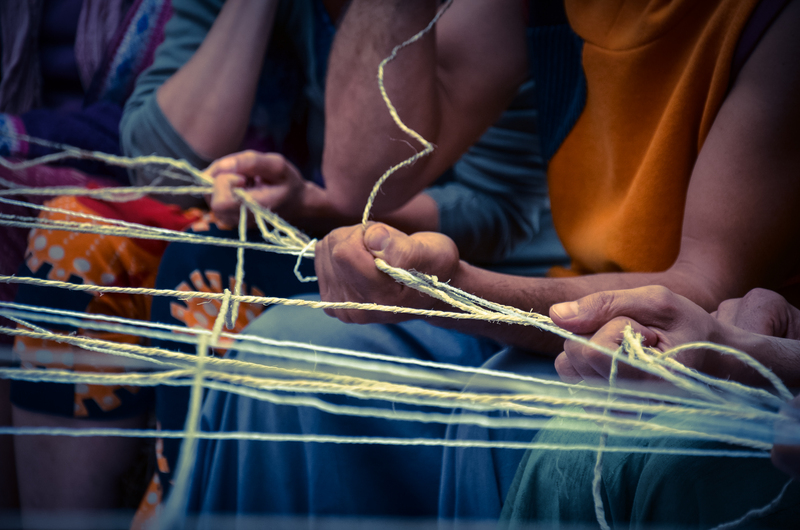 By seeing these interconnections and applying this pattern the webs of nature that bring resilience are woven. From there we must look below at another graphic to completely understand the pathways to abundance. This simple bubble diagram stays at the pattern level and gives header points for further mind mapping if one chooses. With that, we must remember that to simply take care of environmental factors is folly for it is the creative human interaction that truly is permaculture. As humanity is discovering rapidly for the good, systems are quite dynamic and non linear and it is through this understanding that the patterns reveal the abundant roadmap ahead. Systems must be orientated into holism, interconnections crystalized through pattern recognition, and challenges seen as opportunities. conditions (structure) that increase the effectiveness of water through increased infiltration rates and retention in the accumulating humus particles. This accelerates succession in plant growth as nutrient supply stabilizes, weeds decrease, and diversity and complexity exponentially rises. As these photosynthesizers pump carbon into the soil and develop extensive root systems, they further increase completion of the above cycles. Microbes feed off of the living plants’ root exudations of sugar and the dead plant material is broken down as well. As soil conditions improve and water infiltrates, the roots go deeper and become even more extensive allowing the system to zip up the bell curve of regeneration. This great leap allows the system a greater ability for gaseous exchange and water to infiltrate and more carbon to be sequestered well within the soil. This is how climates are positively impacted, water goes in instead of running off, soils are repaired and their microbiota thrive instead of being slaughtered through tilling and chemicals, and carbon is stored as soils deepen rather than being erupted into the atmosphere or polluting aquatic systems. Moreover, biodiversity flourishes as more and more animals, birds, and the like build on these other strands within the food web of a given ecosystem. Thus this exponential regeneration is due to the interconnecting cycles all benefiting from each other. In theory and practice globally, permaculturists creatively integrate all life kingdoms to accelerate this succession process to repair degraded or desertified lands. amount of natural capital as carbon was sequestered, water would infiltrate, and a plethora of biodiversity flourished there. The key is that they moved on a pattern, not one beset by fencing and lines of ownership. Rather on lands held in common by the beasts themselves and always being on the move from predators including the tribes who hunted them. The tribes managed these prairies along with the bison with fire. It was their technique while the for the American Bison it was animal impact. Animal impact is animals tightly bundled together and being on the move, like a school of fish or flock of birds to protect themselves but also serve this particular given ecosystem. Carbon rich plant stalks were trampled to the ground and mixed violently with manures as these thousands and thousands of animals fed and roamed together. Yet they did such a wonderful job of building the ecosystem all the while increasing in numbers as they were always on the move. It was a combination of humans and their ecosystem and its subsequent management that created this balance. Yet in one fail swoop it failed and poor animal management, not one on such a holistic pattern, came to be the norm and this is what gives the bad wrap to animals. However we could immolate this pattern and sequester carbon very quickly as grasses are titanic pumps of sugar, carbon, into the soil. 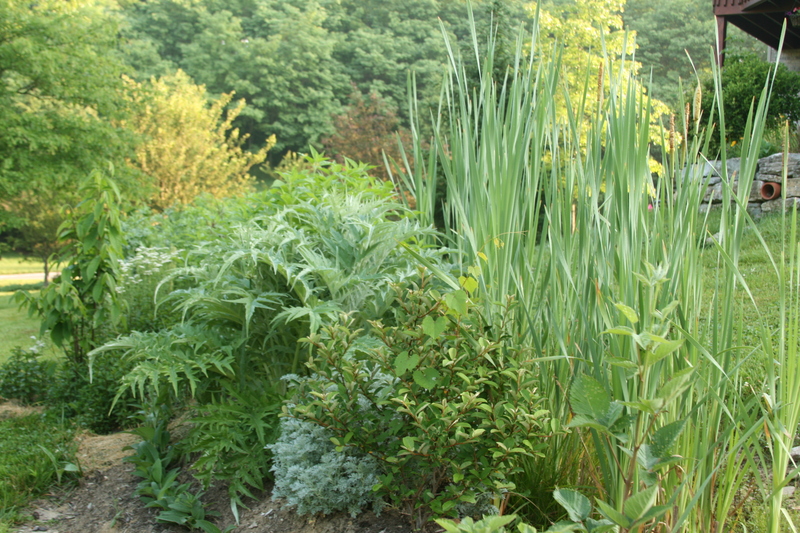 Combine that with manures being cycled by a diversity of flora and fauna and the cycle is virtually complete. and our water heated with very low tech devices. Cooking can be done efficiently as well as space heating using simple design to increase its efficiency thus leaving more trees in the forest. I use these examples as our dependence on the unsustainable extraction of wood can be altered through ecological principles based design and locally sourced natural materials. Our inputs should hinge on low embedded energy products and living a bit more simply as the ethos of permaculture inspires. 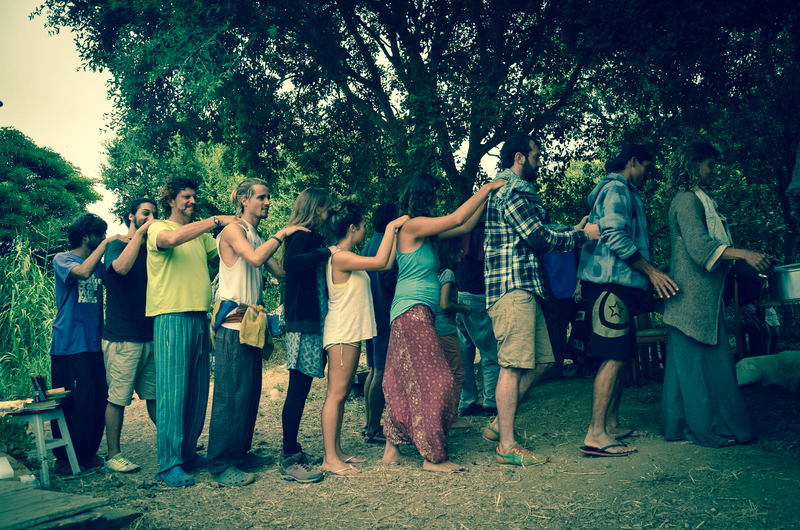 This built environment facet as well as the environmental one is where ecological design meets the fusion of the social and economic side of Permaculture. principles of space and time with patterns along with technique, strategies and management that create the ying and yang of a balanced design. The design project goes through stages of creative flow and narrowing to hatch a holistic concept all the while encompassing the ethics of permaculture. From there, project management is activated to move the project from the design phase into implementation. This is a complex process because of the uniqueness of each site so the model is difficult to be franchised so to speak. However, implementation involves element construction to meet functions as well as creative human interaction. This human interaction facilitates the flows of energy and the use of biological resources all pertaining to the level of succession a system desires matched with the clients needs and climatic, social, and economic context. hinderance. That plan, however, should always include ways for continuing education so that as the site develops, oneself and locals concurrently evolve. The plan, installation, and subsequent management also needs to generate yields so that the projects viability endures. All the while natural capital builds and this should radiate out into social capital and financial return. Job creation is paramount in these times of shaken financial systems and rampant unemployment. Through all of this the strands of local economy will naturally sprout to facilitate exchange thus spurring a cultural revolution that breaks the homogeny that now blisters society. As we build resilient communities through ecological design and creative human integration, natural and cooperative living sprouts up. Organic food and natural medicines are of a greater value than pure entertainment. Farmers markets begin to be the social highlight of the week not the bar or shopping mall. From there regenerative models of education come forth to further lead the cultural revolution. People gain access to environmental and agricultural literacy and begin to live more off the grid and interconnected. Children find quality education outside of the state sponsored degenerative system. Universities across the world are further integrating sustainability into majors and general studies. There is a demand so the supply is steadily increasing as we push for our human rights of learning about the natural world and our connection towards it. Meanwhile farmers are given access to regenerative techniques through various associations working with governments to impact current land use while the next generations of farmers are being trained. Apprenticeship programs develop and farming and forestry and natural craftsmanship in all sorts of trades are valued once more. And as these fringes of society, organic farmers and earth centric people, find inclusion on greater levels so do the ones who have been marginalized. 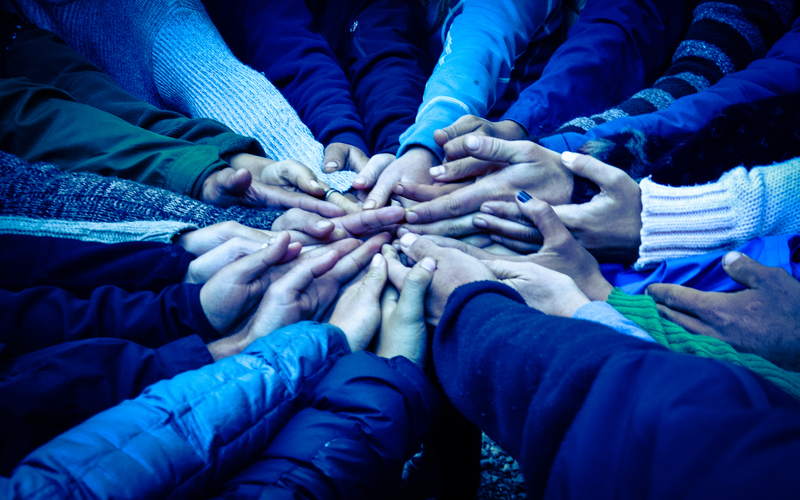 Refugees, immigrants, people of color, people with special needs, women, and economically depressed regions with poor education systems find resilience once again through a combined effort of caring for the earth and each other. Moreover, group formation and facilitation of community also requires dedication and authentic communication to manifest these regenerative facets. Agreements and transparency must meet the original intentions that were laid out in the vision, mission, and community dynamics statements. These again flex as a project evolves as the maturation of community is analogous to that of a forest garden. Meeting styles emerge, cottage industries develop, and leadership is not one of control but rather of empowerment. Support is garnered through true connection allowing the adaptation of the design and community relations to sync accordingly. Legal structures give credence to the project and are followed and creatively leveraged where needed. This journey of epic proportions to reform culture must also be a reflection of the inner work we all do (Zone 00 as the People and Permaculture book refers to it). Our outer world merely reflects our current status and this work is undeniable. Your “doing” alone can not save humanity at this point but must also flow through simple “being“. It is our checking of ego and coming from a place of love not fear that maybe indeed the most intense journey of Permaculture as we realize our true abundance through casting away the scarcity mindset. 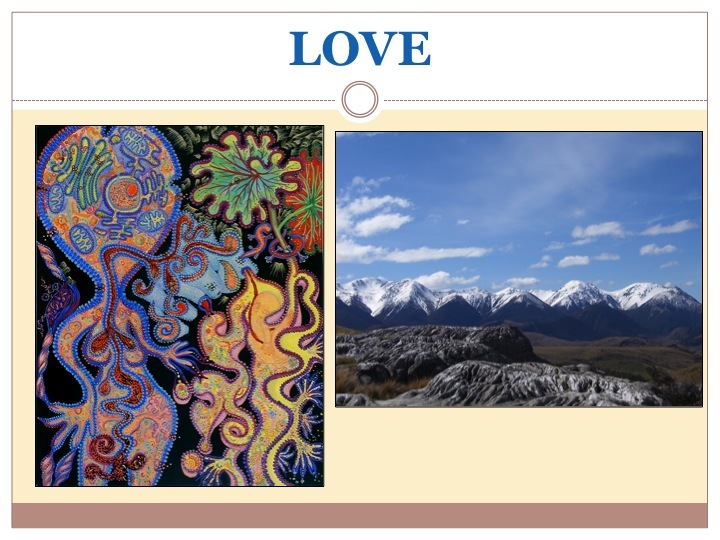 It is this pattern connection that unveils the true meaning of outer purpose as inner purpose gains more relevance and strength. Enjoy the journey for our creative selves and community support are one to relish in not deny because of fear and loathing. Because economic systems are based on natural systems, we must model our financial systems like ecosystems and their ability to share surplus and constantly cycle the input/output relationship. In our society we call outputs wastes but in nature it’s an input for another life form. Thus one of our main economic spheres is to examine this relationship and forge a new economy, a blue one as Gaunter Pauli put it in his book, that cycles energy and materials efficiently. If we design with the Cradle to Cradle framework of designing materials for easy conversion to their secondary use then we can truly outfit society into one of a cyclical process. Our further ability to cycle carbon, as stated above in the environmental context, really is the fulcrum of success of our species along with the hydrological cycle. Through green business development we can also cycle carbon rich materials like food waste and cardboard into food production inputs; black gold that is; compost. We must examine all parts of pollutive industries like farming, forestry, and construction to create new opportunities for job creation through a greener business sector by converting their inputs to a bluer version while also cycling the outputs. We must also work politically to make sure the invisible structures that either hamper or improve our ability to run such businesses are there indeed to support rather than burden. With our financial returns we must relearn to share surplus as a way to also cycle this money energy. Hoarding and accumulation of vast amount of resources only leads to war and conflict as fear and greed build within. It is a grand journey to reform our capitalistic system and blend it with other political systems such as socialism and communism. We need the best of the best from all of them and our own journey with money around fair share economics is a way for investment to occur in the cyclical economy. Our vote is valued mainly in dollars or Euros, pounds or yen, rather than in political races it seems these days. So conscious consumption leads to job creation within industries we would like to see pop up from organic farming to compost. It’s a model of interconnections, where the separation is a thin veil like agriculture and health, water and climate. It’s one that all of us can engage in using the skills and knowledge from each individual and leveraging that into the gift economy. It all begins with awareness and conciousness and thank you for taking time to read this article on how a Permaculture framework of development can positively impact climate change and its cascade towards all systems human and natural on this planet. 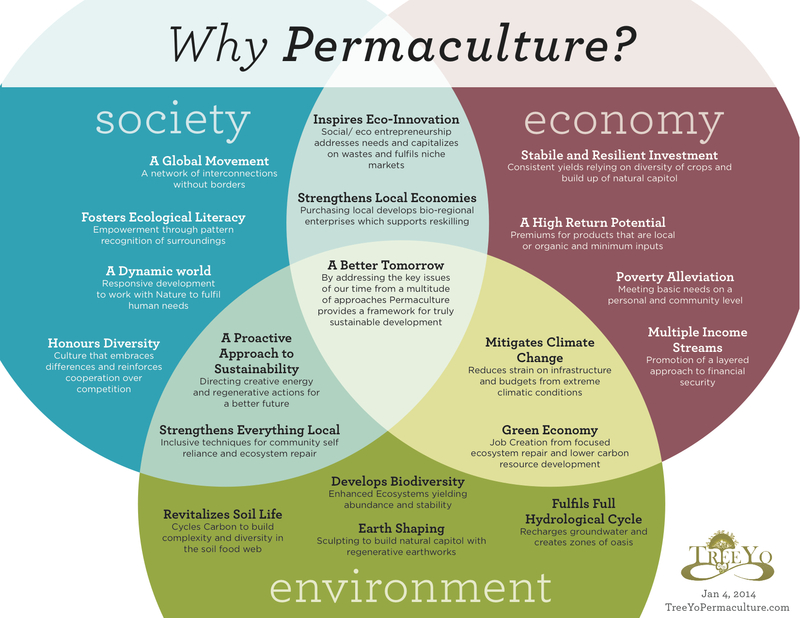 Great to hear the permaculture word is spreading!! Keep it up. Nice one Doug! am personally grappling with what to do Permaculture-wise in my small local town – tried to start/continue interest with a permaculture group for the past 2 years (and even taught a local PDC), but it hasn’t prospered.. wondering where the most change can be effected (and the most efficiently [it seems most similar minded people are ‘too busy’ – often doing good things, but always slaving to the system].. gonna brainstorm with a few others tomorrow to see what ideas we can come up with.. Thanks for this article Doug. We all need to pull together in this, but there are a lot of people out there, who are out to get what they can for themselves. All we can do is to continue in our endeavours, and stay positive. Pingback: Ulrika - Solution to a better world | What is permaculture? “It is a grand journey to reform our capitalistic system and blend it with other political systems such as socialism and communism” – seriously? you obviously have no idea what you are talking about. what makes you think that you have capitalism in america? please tell me if there exists a country today where there is a pure form of republican government where capitalism is the only commercial model? it does not exist in the world today. how many millions of people did governments kill in the name of communism? is that your idea of permaculture? you are deluded my friend. every socialistic system that is forced upon people always leads to failure, misery and death. your socialist public schools do not teach these facts. the society where I want to live in is one where the people choose to freely give of themselves and their resources to the needy of their society, without any coercion from governments of force. You are right facism is facism. And again when discussing politics people resort to name calling. Thanks for the troll instead of a constructive comment. Your utopian society sounds great. Do you have an article on that for me to review? And yes i am not a poli sci major but at least i am proposing something that is reflective of permaculture principles. Yes the idea still needs work. Thanks for the feedback. I am ecologist, a permaculturist and a small business operator trying to make it in the world. When i have some more time i will research the pure tenants of such systems. But again facism is facism. Bill mollison traveled extensively in the communist countries for a reason.